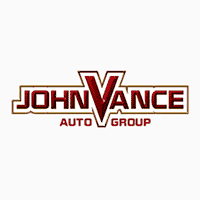 Everyone here at Vance Chevrolet knows you have a busy life, that is why we have made it easy for you to get a quick quote on any new Chevrolet we have at our dealership. Tell us the model and year of the vehicle you are looking for along with any features or accessories you would like to be included. If you do not see a specific model, we can order one for you and have it delivered from the manufacturer or from our network of dealers at no extra charge. If you are looking to put a down payment on the vehicle, or have a vehicle you would like to trade-in toward the purchase of this new vehicle please include that in the message. This will allow us to give you the most accurate price we can and you may even qualify for bonus incentives. Give us a call today at 580-448-4558 if you would prefer to speak with someone regarding getting quotes on any new Chevrolet vehicle.